NCMS’ mission is to provide the infrastructure and support to our member and partner companies as they discover and develop innovative technologies for US manufacturers. This is increasingly important as the advanced manufacturing industry continues to recover and grow. Manufacturing contributes $1.3 trillion in domestic products, produces 59% of the US goods exports, employs 57% of US scientists and researchers, with a total employment of $12.3M people. HOWEVER – we continue to hear from our companies that they cannot always find the talent they need. In Q4 2017, manufacturers continue to site an educated, skilled workforce as a key differentiator and critical element for successfully growing their business. Employers across America remain challenged to find the high-skilled talent needed to support their evolving businesses. It is no secret that between the demographic shifts happening with our workforce and the requirements of constantly changing technologies, the pressure on companies to create and retain a strong workforce is business-critical. Finding and building that talented workforce is a potential pinch point for manufacturers that NCMS would like to help address. 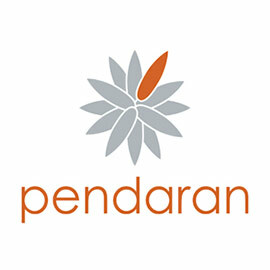 We are providing access and discounts to NCMS members with leading education and training providers, each with their own unique strengths and various delivery channels: With their Virtual Workplace Simulation, Pendaran is weeklong experiential learning program that transforms workplace knowledge to expertise. Tooling U-SME currently works with 50%+ of the Fortune 500 Manufacturing companies, has more than 650+ advanced education partners and is a leading provider of online and instructor-led education. These companies are leaders in their areas of expertise and can work directly with individual companies of any size and map business objectives to training objectives to receive the maximum benefit of their investment. 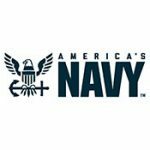 “NCMS members and partners have increasingly made it clear they are seeking to improve the quality of their technical workforce. We are responding by partnering with strong education and training providers who are leaders in developing advanced manufacturing companies with educated and skilled workers. We recognize that the opportunities in advanced manufacturing are great, which is why we strategically align our efforts with leading organizations to accelerate the development and growth of this industry.” -Rick Jarman, President/CEO of NCMS. The Pendaran Method is an experiential, face-to-face learning program that produces accelerated learning and immediate results for attendees and their companies. Designed as an intense unique “boot camp” experience, the four elements are: Class Learning, Virtual Workforce Simulator, Debrief, Improvement Planning. Rapid repetition of cycles with increasing complexity contributes to attendees leaving the week-long program as highly qualified team players with relevant usable skills. NCMS Members can send three staff/year at no charge-a $15,000 value. NCMS and Tooling U-SME, a leading provider of manufacturing training solutions, have formed a partnership to expand the availability of education and training for the advanced manufacturing workforce. NCMS’ mission is to provide the infrastructure and support to companies as they discover and develop innovative technologies for US manufacturers. This is increasingly important as the advanced manufacturing industry continues to recover and grow. Manufacturing contributes $1.3 trillion in domestic products, produces 59% of the US goods exports, employs 57% of US scientists and researchers, with a total employment of $12.3M people. To kick off the partnership as the market continues to grow, Tooling U-SME will offer a suite of select 20 courses, complete with existing customized learning and development programs. NCMS members are eligible to receive the discounted rate of $550/person for the 20 select courses. Full access is available via Tooling U-SME, if desired. Available online in English and Spanish, the suite of courses provides training in composite materials and processes, as well as many other topics. Click here for additional information and a full list of covered courses.